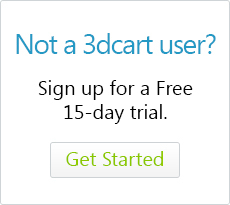 3dcart offers domain registrations services via our partnership with ShopCo.com. 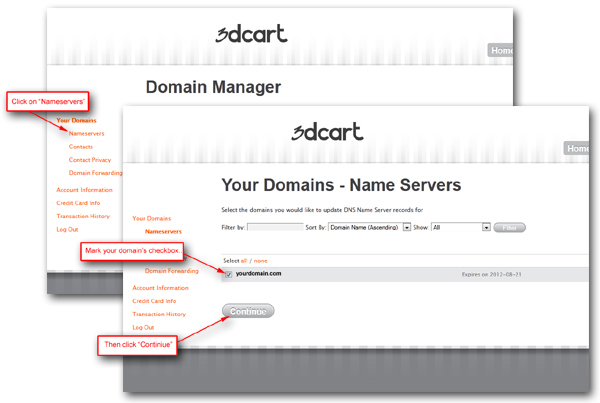 When you register a domain through ShopCo, you will also need to update the domain's DNS records so that it points correctly to your 3dcart account. 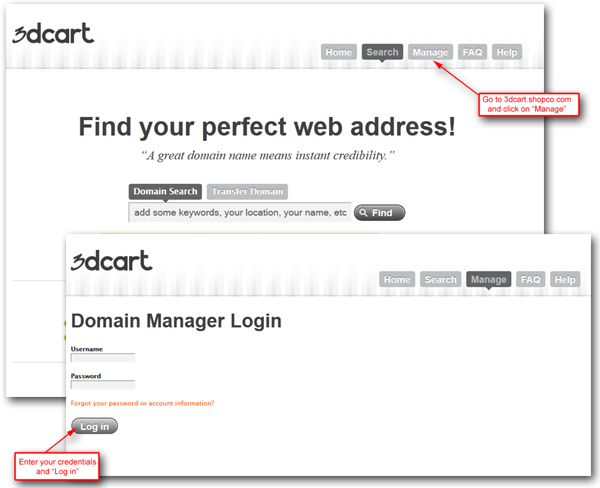 You may also retrieve your login credentials by clicking the "Forgot your password..." link. 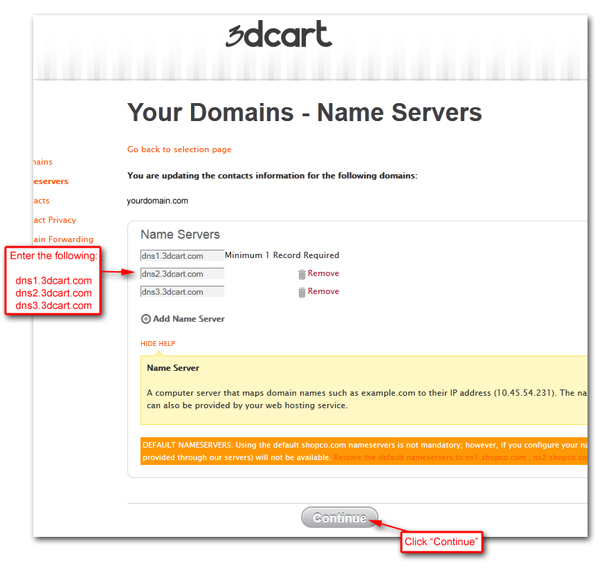 Once you're logged in, click on the link labeled "Nameservers" over to the left had side. Once you're done, click "Continue." The service will pause a moment and update your settings. 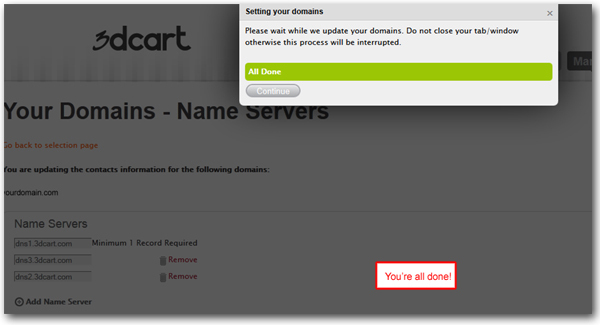 You will then get a confirmation page as shown above. Once you've updated the domain's DNS record, you will need to wait for the updated information to propagate throughout the entire Web. This can take anywhere from 1 to 24 hours.